Feel Bach! 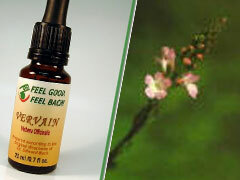 flower remedies blog: Are you a Vervain Personality? Are you a Vervain Personality? If so, you're probably a forceful and inspiring leader. You move people to listen to your views – and to act upon them. You're fearless in the face of opposition – sometimes even risking death in order to promote your cause. You don't care if people call you a fanatic or a kook. Today we have people like Glen Beck who aren't afraid to speak out. Back in Revolutionary days we had Thomas Jefferson, Benjamin Franklin, and others who led the way to our independence. Vervain personalities are completely dedicated to their cause. And this is well and good as long as they remain in a positive Vervain state. But in the negative state, this dedication can be self-destructive. They can push themselves so hard that they go without sleep and without proper nutrition - so that their bodies suffer from their dedication to the cause. In addition, in the negative state the Vervain personality cannot begin to consider a different point of view, and that also is destructive. Once restored to the positive state, the Vervain person can again see both sides of an issue. His or her passion can be tempered by reason. And, in the positive state he is much more effective at inspiring others and gaining support for his mission. If you're dedicated to a cause and feel yourself ignoring your own health in pursuit of righting a wrong or correcting an injustice, you too may be a Vervain personality, and you may be in the negative state. If so, visit FeelBach! and let Dr. Bach's Flower Essences put you back in balance. Are you a Vervain Personality? Are you a Vervain Personality? If so, you're probably a forceful and inspiring leader. You move people to listen to your views – and to act upon them. You're fearless in the face of opposition – sometimes even risking death in order to promote your cause. You don't care if people call you a fanatic or a kook. Today we have people like Glen Beck who aren't afraid to speak out. Back in Revolutionary days we had Thomas Jefferson, Benjamin Franklin, and others who led the way to our independence. Vervain personalities are completely dedicated to their cause. And this is well and good as long as they remain in a positive Vervain state. But in the negative state, this dedication can be self-destructive. They can push themselves so hard that they go without sleep and without proper nutrition - so that their bodies suffer from their dedication to the cause. In addition, in the negative state the Vervain personality cannot begin to consider a different point of view, and that also is destructive. Once restored to the positive state, the Vervain person can again see both sides of an issue. His or her passion can be tempered by reason. And, in the positive state he is much more effective at inspiring others and gaining support for his mission. If you're dedicated to a cause and feel yourself ignoring your own health in pursuit of righting a wrong or correcting an injustice, you too may be a Vervain personality, and you may be in the negative state. If so, visit FeelBach! and let Dr. Bach's Flower Essences put you back in balance. Are you a Vervain Personality? If so, you're probably a forceful and inspiring leader. You move people to listen to your views – and to act upon them. You're fearless in the face of opposition – sometimes even risking death in order to promote your cause. You don't care if people call you a fanatic or a kook. Today we have people like Glen Beck who aren't afraid to speak out. Back in Revolutionary days we had Thomas Jefferson, Benjamin Franklin, and others who led the way to our independence. Vervain personalities are completely dedicated to their cause. And this is well and good as long as they remain in a positive Vervain state. But in the negative state, this dedication can be self-destructive. They can push themselves so hard that they go without sleep and without proper nutrition - so that their bodies suffer from their dedication to the cause. In addition, in the negative state the Vervain personality cannot begin to consider a different point of view, and that also is destructive. Once restored to the positive state, the Vervain person can again see both sides of an issue. His or her passion can be tempered by reason. And, in the positive state he is much more effective at inspiring others and gaining support for his mission. If you're dedicated to a cause and feel yourself ignoring your own health in pursuit of righting a wrong or correcting an injustice, you too may be a Vervain personality, and you may be in the negative state. If so, visit FeelBach! and let Dr. Bach's Flower Essences put you back in balance.